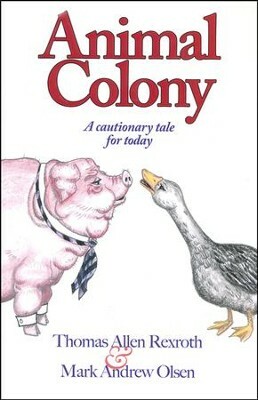 At the dawn of a killer colonial winter, starving and desperate to live, a brave band of Animals escape the tyranny of their human Masters to start a homeland of their own--Animal Colony. There they find freedom and prosperity until an addiction to Big Government invades their successful society. Before long, the Colony begins to resemble the oppressive and deprived prison from which they once escaped. And the question emerges: will the Animals vote wisely enough, and strongly enough, to save their future? I'm the author/artist and I want to review Animal Colony: A Cautionary Tale for Today.